When you're ironing out a whole new mapping platform, like Apple is, some small details are sure to slip through the cracks. Names of streets, wrong turns, confusing oceans and deserts thousands of miles apart, the spellings of some small to... Hold it. Yep. 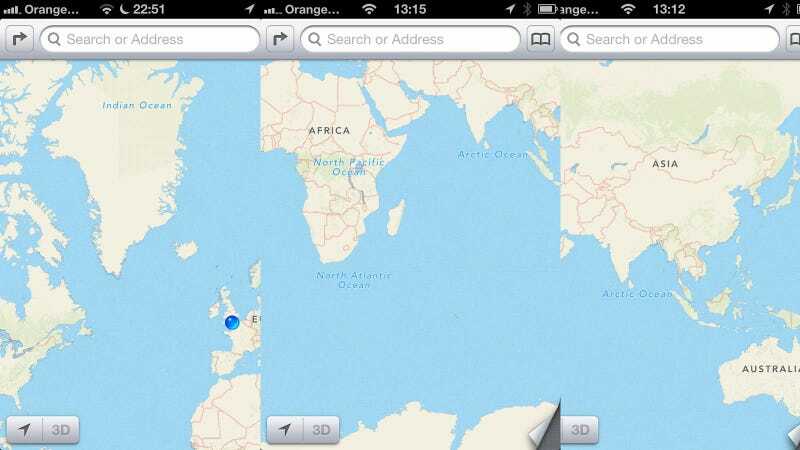 Apple's new Maps app confuses Greenland for the Indian Ocean, the Indian Ocean for the Arctic Ocean, the middle of Africa for the North Pacific, and the southern ocean for the North Atlantic. Which, you know, not minor details. They'll be ironed out shortly, no doubt, but those are delightfully idiotic mistakes to have gone live, especially considering some of the small details Apple has in there. Let us know if you spot any others!